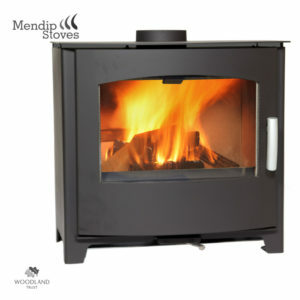 This free standing stove is DEFRA approved to burn wood, logs and smokeless fuel in smoke control areas. FREE 1000mm flue pipe, register plate, carbon monoxide detector, smoke alarm, black fire cement and coal shovel available with this stove. The Dunsley Highlander 8 Enviro-Burn SG SOLO Multifuel Stove is highly efficient and clean burning with a highly effective airwash system. This airwash system keeps the glass free from soot and tar build up which results in an excellent view of the flames through the highlander 5 Enviro-Burn’s large viewing window. With all the best parts of the Highlander range of stoves Dunsley have developed the single door Dunsley Highlander Solo Range. The single door gives uninterrupted views of the fire area, allowing you to enjoy the flickering flames without any compromise in efficiency or heat output. The solo door also gives a more contemporary edge to the Highlander range. So you can enjoy the dancing flames of the Dunsley Highlander Solo Stoves even more, Dunsley have developed the HIGHLANDER SG RANGE to give a larger window. The square window doors still provide the same outputs and efficiencies as the standard Highlander stove models. The square window also increases the viewing area and gives the stove a more contemporary look. As the Dunsley Highlander 8 Enviro-Burn SG SOLO Multifuel Stove is DEFRA approved, you can burn all kinds of wood in smoke control areas. You also have the added piece of mind that you are making a positive contribution to the environment. The Dunsley Highlander 8 Enviro-Burn SG SOLO Multifuel Stove uses super thick steel plate for extra durability. 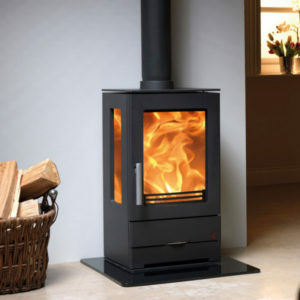 This can be clearly seen when comparing it to other steel bodied stoves on the market. 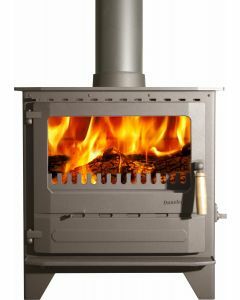 The Dunsley Highlander 8 Enviro-Burn SG SOLO Multifuel Stove has a door made from cast Iron. This helps with radiating heat into your room. There are no cut corners when it comes to manufacturing the Highlander range with Dunsley using high density fire bricks to line the combustion chamber. The stove is fitted with black handles as standard however satin gold, satin chrome and wood handles can be supplied as an option. The Dunsley Highlander 8 Enviro-Burn SG SOLO Multifuel Stove has a safety door fitted as standard, making it difficult to over fire the stove. The Enviro-burn range offers multifuel stoves giving a clean and clear smokeless combustion with tertiary and airwash air supply. The Enviro-Burn models have two air controls positioned above and bellow the door to help regulate the burning rate of the fire. 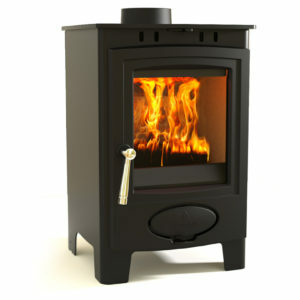 Dunsley are one of Britain’s longest standing and well known manufacturers of solid fuel stoves. 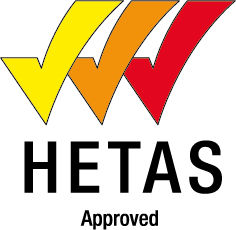 They are dedicated to providing you with products and a service which will meet your heating requirements. 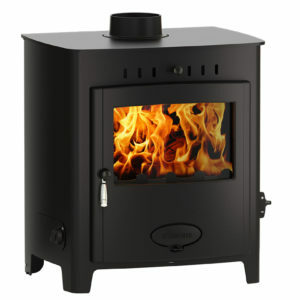 Dunsley stoves are renowned for their quality and reliability. 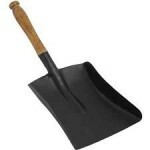 They are Designed and manufactured in Yorkshire to the highest standards and will make a welcome addition to any home. Click here to see the stove in action.